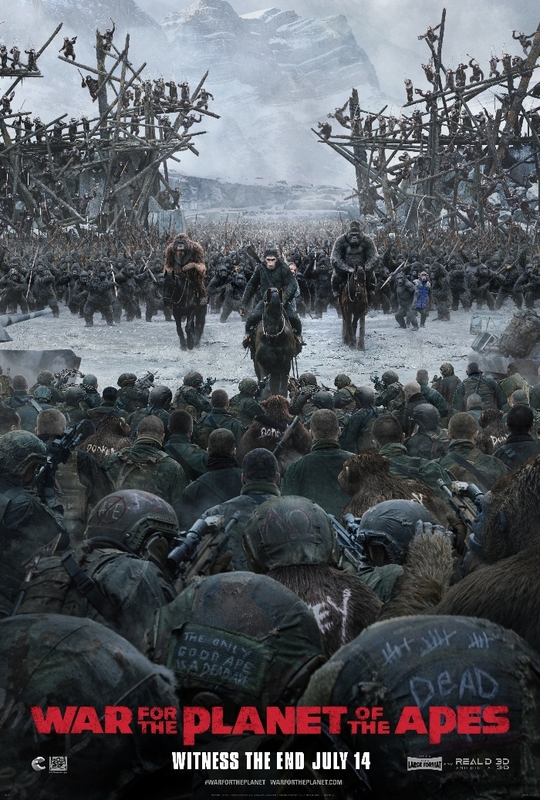 War For The Planet Of The Apes Final Trailer Shows Off The War - Are You Screening? July 14th is closing in and War for the Planet of the Apes has released a final trailer. Much as the franchise has had its moments (both wonderful and screwball), it seems as though this were really the dialogue-heavy shoot-em-up we were really interested in making in the first place. The new trailer features a lot more of the conversations we’re going to get between Caesar (Andy Serkis) and Colonel (Woody Harrelson), and showcases a few of the film’s oddities, like a human child Caesar “adopts,” and an ape working with the humans. Unfortunately, unless things go really weird, we know how this one is going to end, which then has to make you wonder if the franchise will keep going by jumping ahead to the original. Matt Reeves continues in the director’s chair after “Dawn” and also gets writing credit now. Apart from our generals, the film stars Steve Zahn, Amiah Miller, Karin Konoval, Judy Greer and Terry Notary. Check it out above, and let us know what you think of this one.